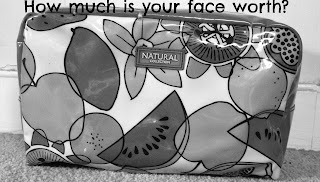 Although my blog isn't really a beauty blog, I have decided to do the 'How Much is Your Face Worth?' tag. I decided mainly because I would like to see how much my make up actually costs and how much I have spent. I'm not a major beauty addict, however I do love make up and I love experimenting with it so I thought it would be interesting to see! I wouldn't personally say I have loads of make up, but this is what I have in my make up bag that I use daily. I'm not sure if thats a lot of money to spend on make up or not!? I think I expected around that much - considering I use make up everyday. Wow! oh that's interesting, I am definitely curious to see how much my make up is worth! 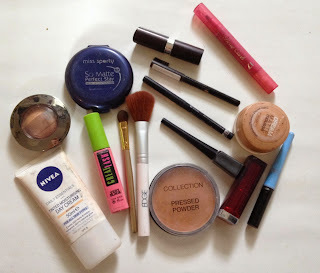 I love Maybelline! Shall I quote jessie J?? "Forget about the priceeeee tag."